Artillery EP Launch Party w/ Basstripper, Special Guest & More! 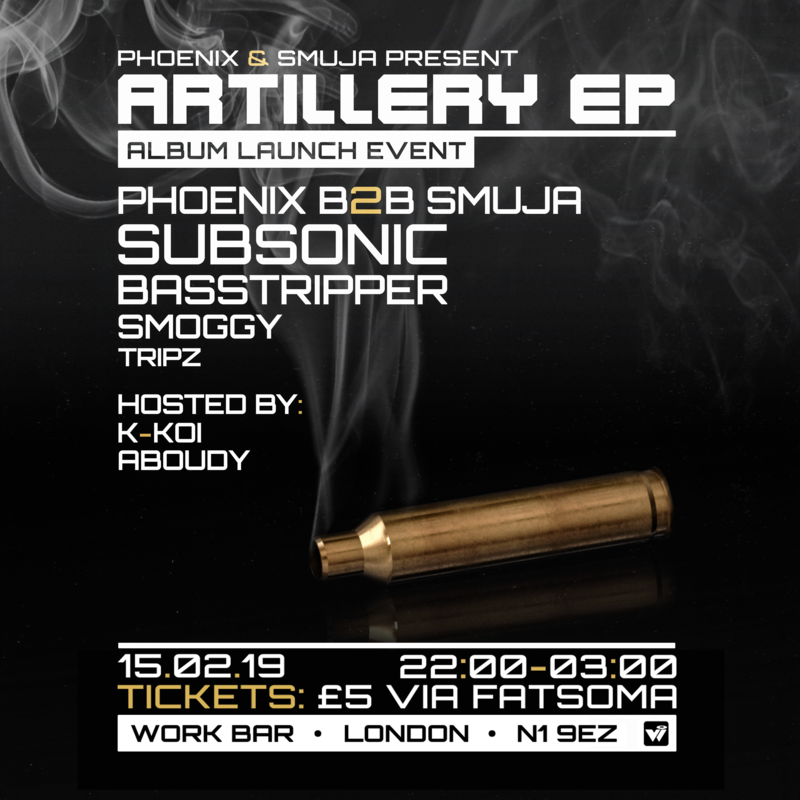 Up and coming Drum & Bass duo Phoenix & Smuja have put together and invited a weighty Drum & Bass line up to join them in celebrating the release of their Debut EP ‘Artillery’. The project was inspired by the motivation to make nothing but absolute pure weapons for DJ’s to release on the dance floor. The EP provides a contrast of their passions within Bass Music, showcasing multiple styles of Drum & Bass, as well as Bassline. Joining them on the night is a variety of talent from across the UK, as well an international Jump Up LEGEND and an incredible special guest. Full line up and more announcements coming soon.